Sheyi Ojo suffered a worrying setback on Friday night as he was stretchered off during Fulham’s 2-1 win over QPR. 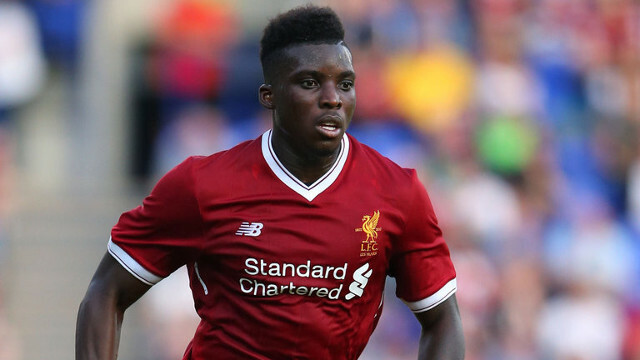 The Liverpool youngster is currently on loan with the Championship club, but could face a spell on the sidelines after being sent to hospital with a shoulder injury. A win against their London rivals saw Fulham rise to eighth in the league and continue their fight for promotion. That said, Ojo’s injury arrives as another blow to Jokanovic, who is already without Tom Cairney, Floyd Ayité, Aboubakar Kamara, Rafa Soares and Lucas Piazon. It also comes as a personal concern to Ojo himself, with the winger eyeing up a productive season of regular football in aid of making an impression and giving Jurgen Klopp further reason to believe he is worth bringing back to Liverpool next summer. The 20-year-old remains highly-regarded at Anfield but has seen cruel injuries hamper his progress at Melwood during a two year period that has paved the way for a number of youth stars to earn first team opportunities. Get well soon, Sheyi. Speedy recovery.